Manila, Philippines -- Fresh from winning the UAAP Season 76 Women's Volleyball Crown at the expense of their arch rival DLSU Lady Spikers, the Ateneo de Manila University Lady Eagles have no plans on seating on their laurels as they immediately went to work on their team recruitment. 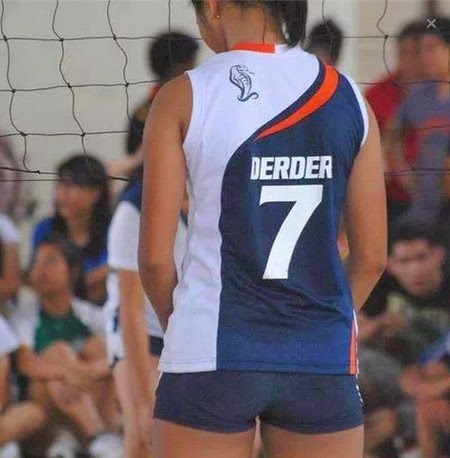 A source confirmed that the Lady Eagles have successfully recruited 4 of the most sought-after high school volleyball players, namely: Bea de Leon, Therese Gaston, Rissa Sato and Karen Derder. 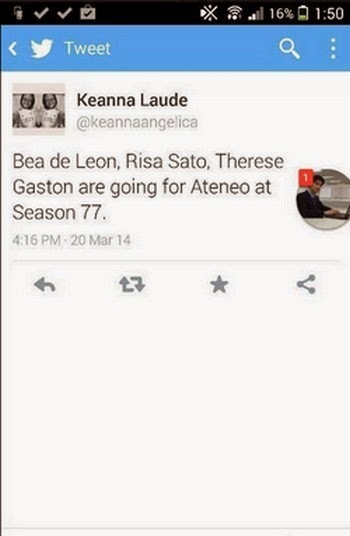 You can now consider them as the Ateneo Lady Eagles Recruits for UAAP Season 77 and for The Succeeding Seasons of The UAAP. 2. Bea de Leon has the makings of a great volleyball athlete. 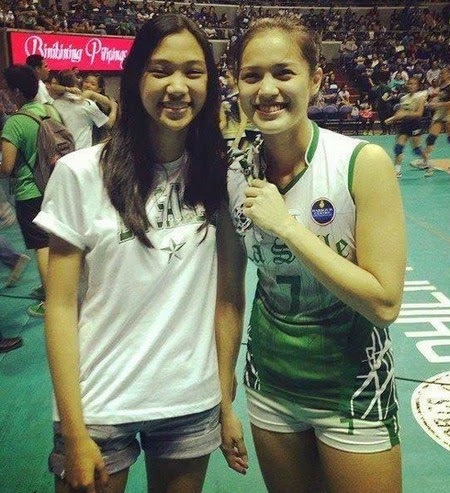 She is often being compared to Miss Gumabao, a former DLSU Lady Spiker. She's also athletic, tall and pretty. She's currently one of the guest players of the Lady Eagles in the Shakey's V-League Season XI. 3. 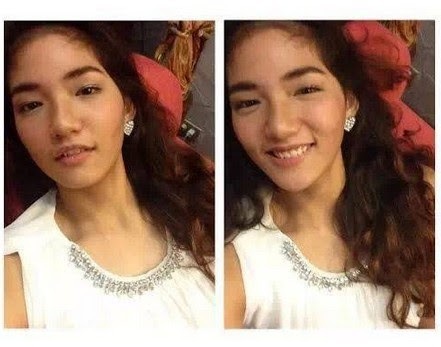 Therese Gaston is fresh from winning the UAAP Season 76 Juniors Volleyball Title with the UST Juniors Volleyball Team. She's a typical UST high school volleyball player: tall, loves to listen to her coach, and knows how to work hard on and off the court. Risa Sato, the one wearing the shirt with a champion logo.4. Rissa Sato is half Filipino-half Japanese. She's also the guest player of the Lady Eagles in the Shakey's V-League Season XI. But here's the catch, she's not yet sure to play in the UAAP 77 due to UAAP Eligibility Rules regarding recruits outside the Philippines.